Latvia is home to one of Europe’s most interesting and classically beautiful capitals, which is reason enough for a visit. Step outside Riga’s limits however and you’ll find untouched wilderness and adventure just waiting for you to discover. When should I visit Latvia? The best time to visit Latvia is in late spring and summer between April and September. While you can expect the beaches of Jūrmala to be busy during the tourist season, you can still find an abundance of secluded land outside the cities and resorts. While trains can take you from Riga out into the immediate vicinity for day trips, you’ll have to look into buses to travel further into the country. You can also look into renting a car to explore at your own pace (but be prepared to drive standard in most cases). In addition, most rental companies often let you travel to neighbouring Lithuania and Estonia for a complete Baltic getaway. Often viewed as the only bona fide city in Latvia, the capital is a no brainer for anyone visiting the country. 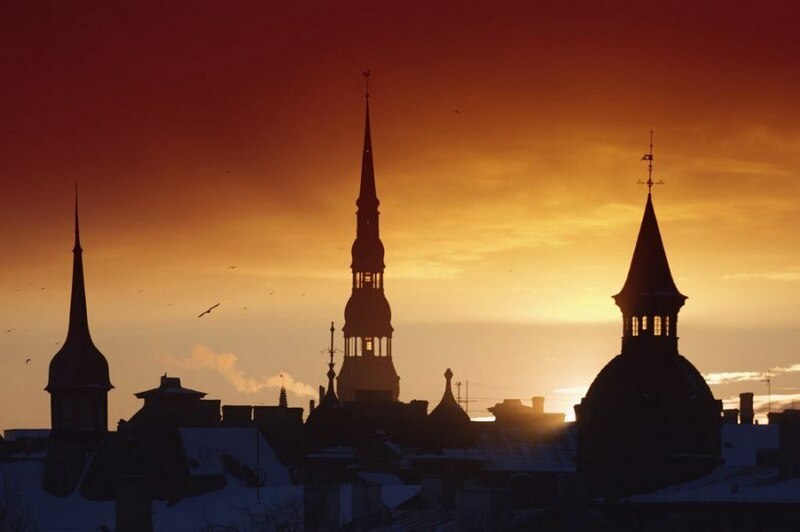 Riga is the largest city in the Baltics and with that size comes an upbeat cosmopolitan energy. While the spires and classical architecture of Riga is quite something to behold, it’s what goes on under the surface that truly turns Riga into one of Europe’s best capitals – including an ever-growing collection of bars and restaurants. Old Town Riga is the most picturesque and touristy area of the city, and the place that often plays host to festivities and events such as a great Christmas market. All told, you can’t say you’ve experienced Latvia until you’ve visited the capital. Lying just outside of Riga is a long strip (over 30 kilometres) of coast. The reasons to come here are pretty self-explanatory. First, it’s just a stone’s throw from the capital. 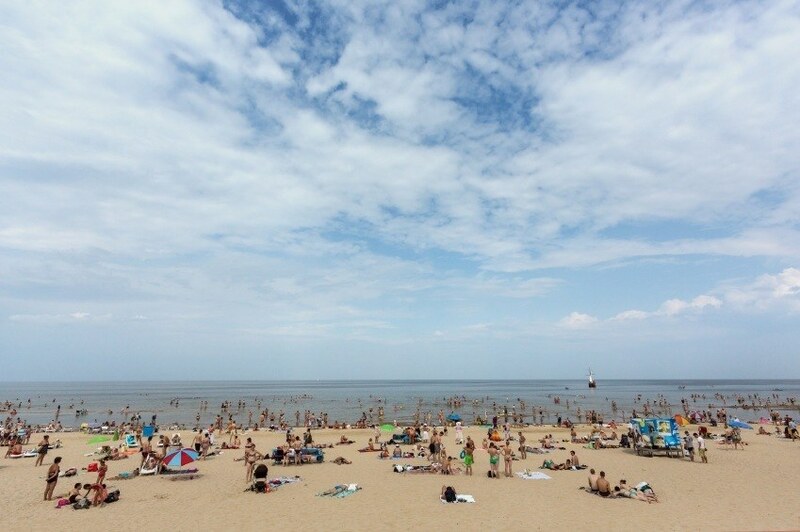 Second, it’s far and away the best option in Latvia to catch some sun along the sandy shores of the sea. You’ll find hotels and resorts aplenty not far removed from the beach. Majori and Dzintari are the main townships in Jūrmala, but you can’t really go wrong no matter where you are. You can expect a lot of day-trippers from Riga during the summer, so it won’t exactly be a private getaway. 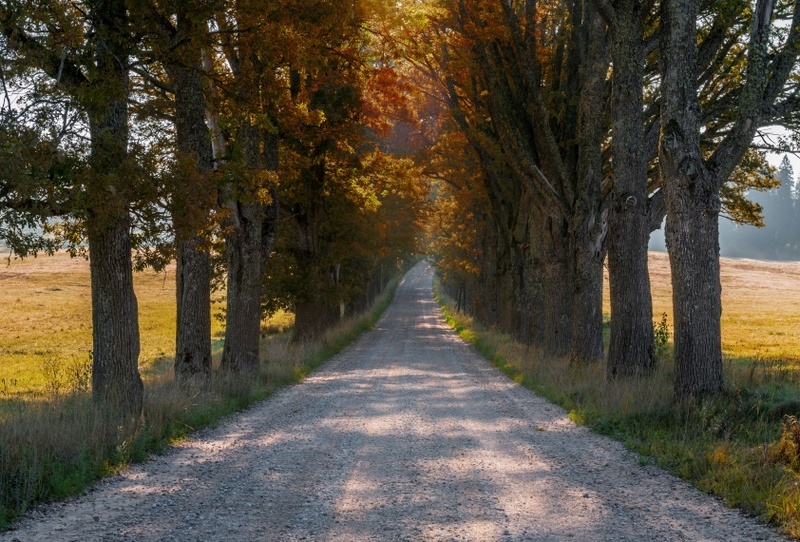 The Western part of Latvia, also known as Kurzeme or Courland, offers some of the best examples of what Latvia is really like outside of Riga. While you’ll find a small collection of coastal towns well worth a visit (including Ventspils and Liepāja), it’s the secluded and peaceful landscape that’s the real draw. 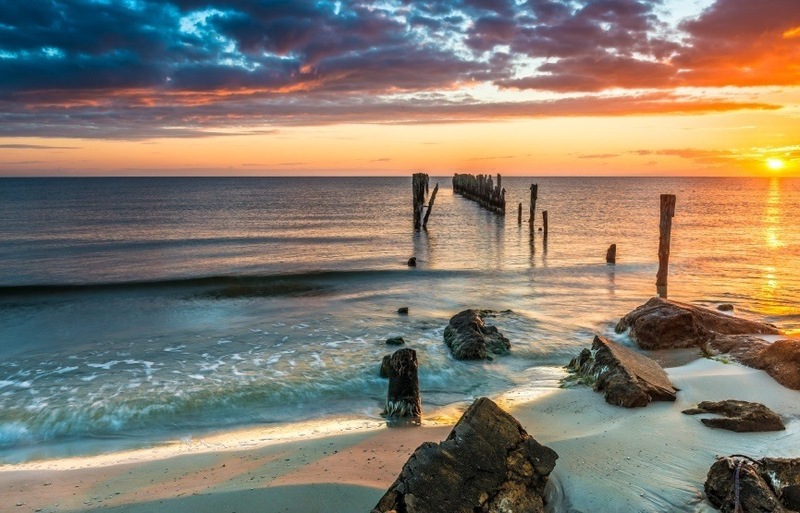 You’ll find amazing and lonely coasts far removed from the hustle and bustle of Jūrmala, beautiful forested regions, and so much more. If you want to get the complete picture of Latvia, you need to visit Riga and the countryside in equal measure – and there are few better places for the latter than Kurzeme. Not far from Riga is the charming town of Sigulda. 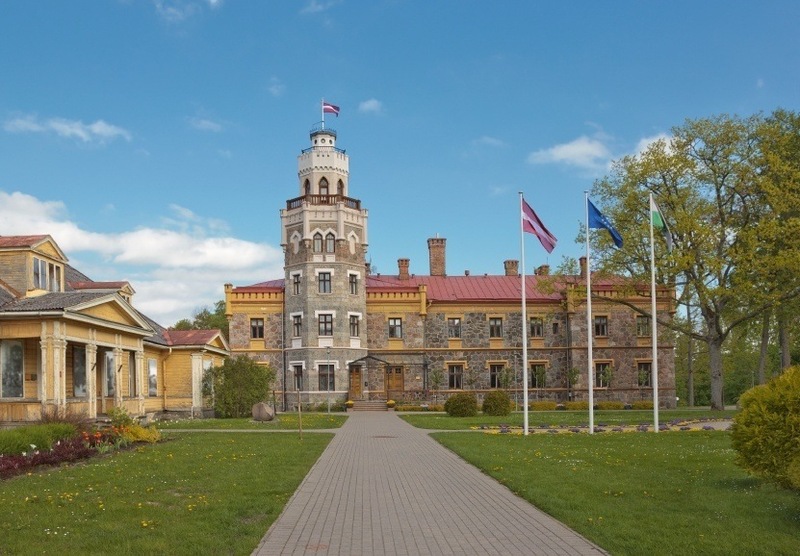 Sometimes known as the “Switzerland of Vidzeme” (largely due to reddish rocks and caves along the river), this small town offers a surprising amount to see and do. As far as sights go, the castles are the main draw – varying in size, but always impressive. Interestingly, extreme sports enthusiasts will find themselves right at home with bungee jumping, skiing, bobsledding, and more available depending on the season. There may not be enough here for an extended stay – but with a convenient location, Sigulda is more than worthy of a day trip. Outside of Riga, the charming town of Cēsis is the best example of classical Latvian architecture and history in the country. The imposing castle and cobblestone streets are instantly impressive while the hills help to make the setting worthy of the buildings. There’s quite a lot of history here, much of it to do with the Livonian crusaders (Cēsis served as the order’s stronghold). Whether you’re a history buff or not, the town is undeniably charming and, once again, just an easy day trip from Riga. Perhaps the main reason to visit Cēsis however is what lies just outside – Gauja National Park. The first, largest, and most famous park in Latvia is also arguably the country’s biggest draw outside of Riga. Stunningly gorgeous forests offer hiking trails (of all difficulties), camping, rivers for canoeing, and so much more. 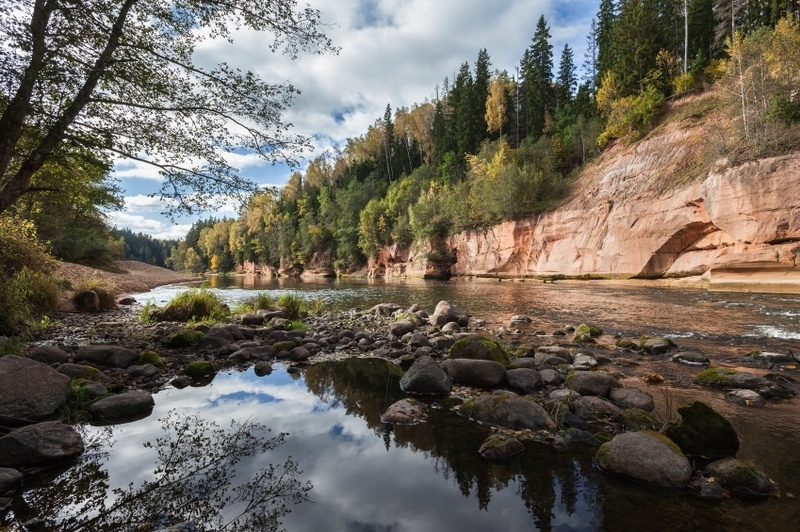 A world away from urban life, the pristine landscape of Gauja is something to behold. Words can’t do it justice, so you’ll just have to visit and see for yourself. How much does travelling to Latvia cost? 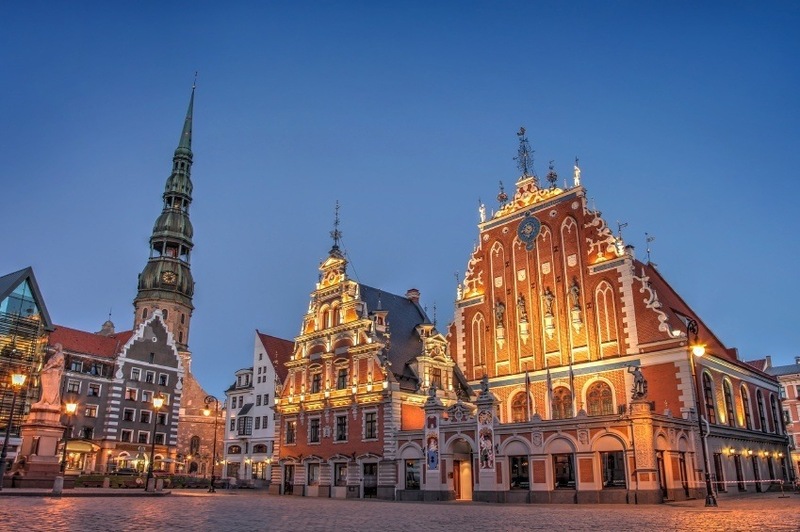 Flights between Pearson and Riga are surprisingly cheap, with a round trip often starting around the $600 Canadian mark – though some can be found for closer to $500 if you don’t mind a bit of a layover. Since Latvia is close to many other countries in Northern and Central Europe, you can also look at flying into somewhere else first and travelling to Latvia later. Either way, you should have a bevy of affordable options to choose from. Latvia is a member of the EU and uses the euro. Even with this, the prices when you’re there are mostly lower than other eurozone countries. Expect to spend about $66 a day with a budget of $34 for accommodation and $19 for food. Thrifty travellers could get by with a mere $27 a day while higher end travel comes in at a relatively small sum of $149 a day. Latvia is a pretty safe country with no nationwide advisory according the Canadian government. As always, you should be wary of petty crime, particularly in Riga. Car theft is another concern, so be careful if you do rent a car in the city. When driving be aware of aggressive and dangerous drivers, as well as poor lighting on the highways. Overall, there isn’t a huge amount to worry about here – just use your best judgment and you should be fine. For more on travel safety in Latvia, check out the Canadian Travel Advisory website. These are just a few examples of where to go in Latvia, there’s tons more to see and do. If you think somewhere else should be on the list – or want to share you own experiences, tips, or advice – let us know in the comments. 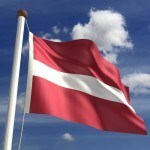 Check out our Country of the Week for more general information about Latvian history and culture. Planning a trip right now? 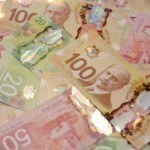 Learn more about the euro HERE, then buy yours HERE.